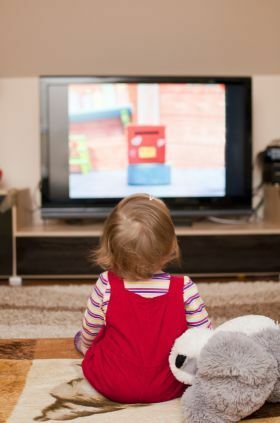 Within the process of implementation of European standards, the National Council of Television and Radio Broadcasting, Ukraine's media regulatory authority, has initiated a public discussion of the issue of children’s involvement in media production and the protection of their rights. The related public events, which were held during 2015-2016, involved a wide range of state authorities responsible for children’s rights protection, civil society and scientists. Based on the materials developed by EPRA Working groups - in particular the WG "Case study on the protection of minors: focus on reality and Talent shows" - and relevant practices of Member States of the cooperation platform, the Ukrainian media regulator has drawn the attention of society to the need of preventing child sexual abuse in order to help shaping a responsible public opinion with the support of the media. In Ukraine, cases have been reported when the media use child abuse issues to create top-rating programmes. to refrain from revealing names of and information about a child. A Working Group on the elaboration of rules to protect children in the media also operates at the level of the media regulator. The WG includes representatives of the media industry, psychologists as well as public activists. In 2016, further to the activities of this WG, the representatives of the media industry signed a self-regulatory charter entitled “Protection of a child having suffered from sexual abuse within his/her involvement into media production”. This document defines common approaches and rules of coverage of children’s participation in those TV programmes dealing with sexual exploitation and sexual abuse. It is also planned to finalise the drafting of Methodological psychological recommendations on the protection of a child within his/her involvement into media production. The next thing on the agenda is to deal with issues related to the sexualization of children in the media, with the restriction of scenes of violence, cruelty, offensive language usage and other negative content that may impair children. This will constitute the next step towards the creation of a system protecting children from harmful content that may impair their moral and psychological health.